Ripon is a cathedral city in the Borough of Harrogate, North Yorkshire. 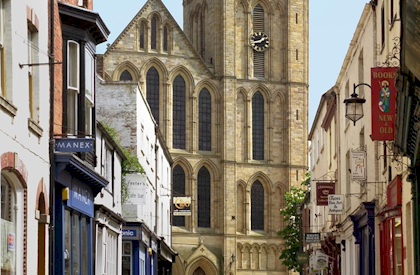 The city is noted for its main feature, Ripon Cathedral which is architecturally significant, as well as the Ripon Racecourse and other features such as its market. The city itself is just over 1,300 years old and is the third smallest city in England.